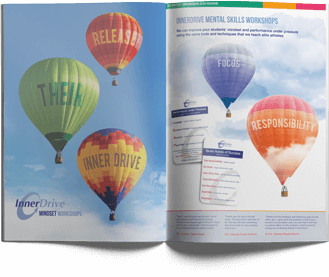 Our Mastery Mindset workshops introduce students to the key habits of successful people and provide suggestions and ideas on how to acquire them. The philosophy behind the workshops is that there is no guarantee of success, but by living your life by these habits you put yourself in the best possible position to succeed. This workshop will help students as it reinforces behaviours that will help them achieve success. How hard do you need to work to realise your goals? What does good preparation look like?